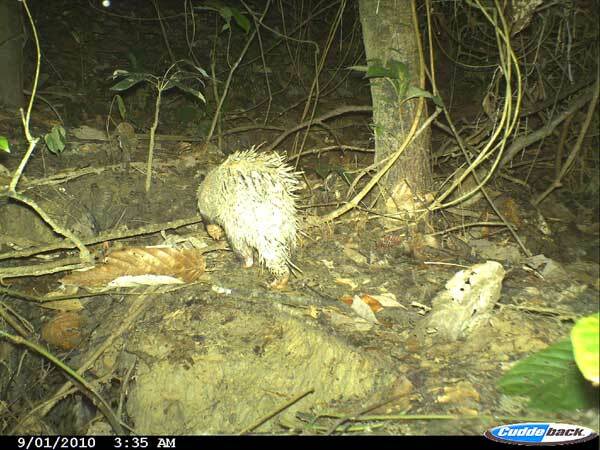 I conducted a survey on the forest-floor mammals such as porcupines using automatic camera traps, and line census of the fallen fruits from July to October 2010 at Tabin Wildlife Reserve, Sabah, Malaysia. I set up automatic camera traps in front of two burrows that I found on the forest floor to identify the animals using them. By this research, thick spined porcupines was foud to use these burrows as their daytime resting-burrows. Although I also succeeded to capture a thick spined porcupine with life trap and tagged it with a radio-tracking device, radio-tracking of this animal was unsuccessful probably because the device dropped off from the animal. I and Miyabi Nakabayashi (Master course student of the Wildlife research center of Kyoto university) set up 30 camera traps in the study area and took 2320 images of forest-floor mammals. We also established a 2 meter x 2 kilometer transect in order to evaluate the amount of fallen fruits in the study area. 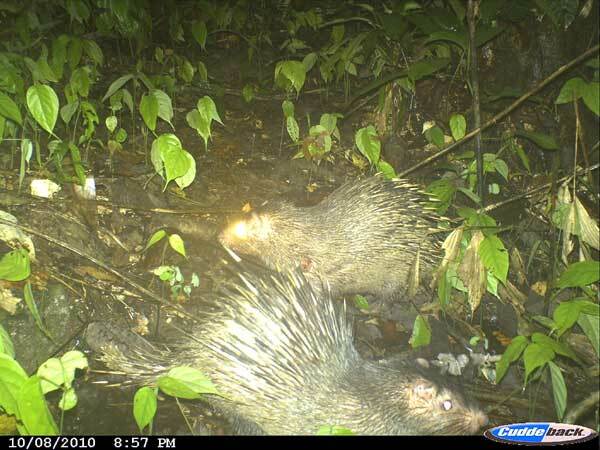 Analysis of the field data and camera trap images will be completed within a few months. A thick spined porcupine back to the burrow.